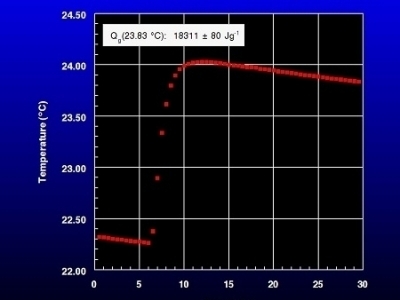 Bomb calorimetry is used to measure heats of combustion. This includes conventional fuels, renewable energy sources, foodstuffs, waste materials, organics, and pharmaceuticals. 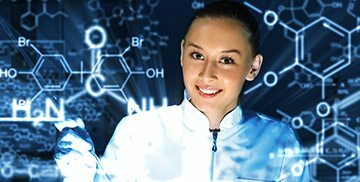 Standard enthalpies of formation may be determined for pure compounds. 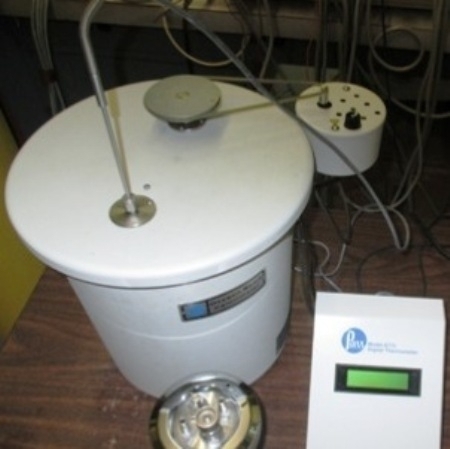 The bomb calorimeter is calibrated with SRM 2232 (benzoic acid) certified by the National Institute of Standards and Technology (NIST). For compounds containing elements other than carbon, hydrogen, and oxygen, such as nitrogen, other NIST standards are used. The bomb is fired in a bucket containing 2 kg distilled water. Heat of combustion is calculated from the change in the water temperature. Native Anmerican grasses are a source of renewable energy. 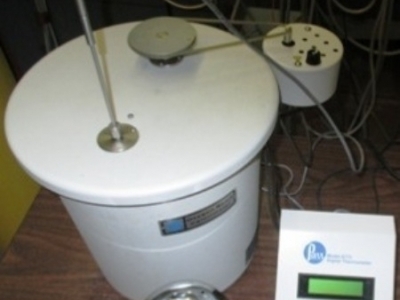 Bomb calorimetry is used to evaluate the energy content. 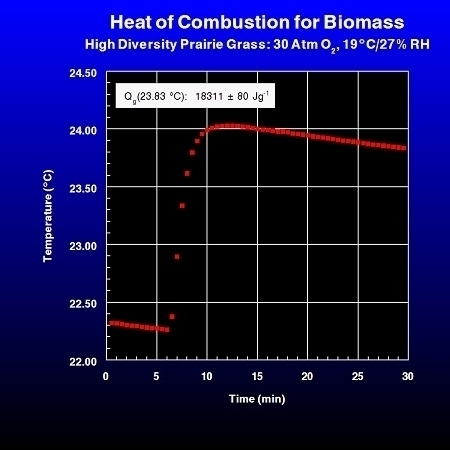 The graphic shows the typical combustion curve obtained for an American prairie grass.